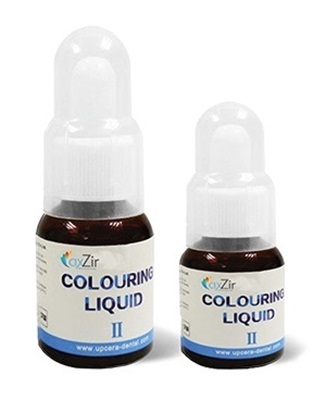 AxZir Coloring Liquid is a liquid used for the complete or partial coloration of milled AxZir zirconia substructure and anatomy before sintering. 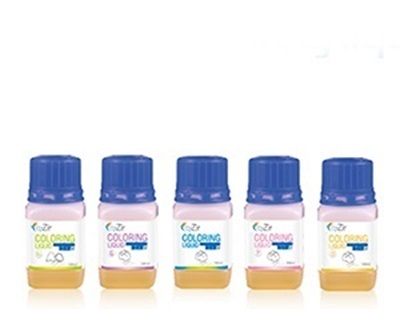 Colors include: Vita shades A1-D4, LL1-LL5, 7 Specialty shades and a special T0 Magic finishing liquid. 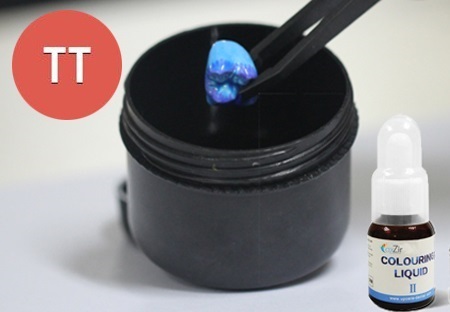 Excellent penetration: can rapidly complete penetrating the inside of the teeth. Easy to color via dipping or brushing. 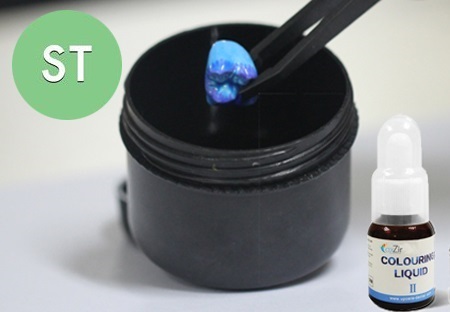 Excellent dyeing effect with good stain stability and color reproducibility. AxZir is produced by one of the largest zirconia manufacturer in the world and with over 45% market share, the biggest in China.Their products are exported to more than 69 countries in the world. 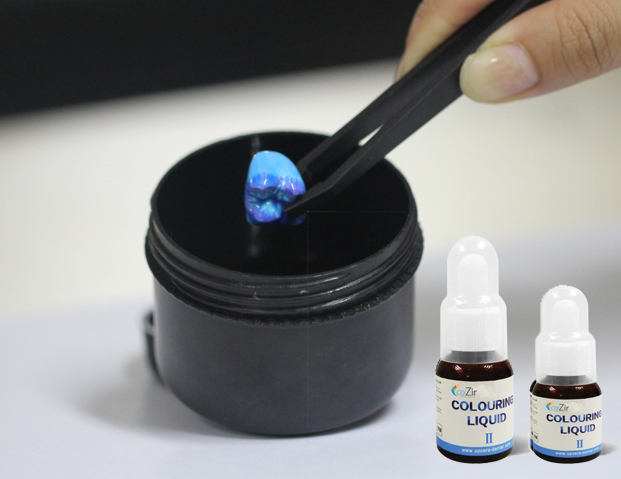 Intended use: Coloring Liquid is a liquid used for the complete or partial coloration of milled zirconia substructure and anatomy before sintering. AxZir zirconia is produced by one of the largest zirconia manufacturer in the world and with over 45% market share, the biggest in China. These products are exported to more than 69 countries in the world. AxZir is produced by one of the largest zirconia manufacturer in the world and with over 45% market share, the biggest in China. Their products are exported to more than 69 countries in the world.